New Image are an established independent supplier for Tiles, Kitchens and Bathrooms based in Dorset. With an impressive showroom in Weymouth featuring over 30 room size displays, you’re sure to find something to suit your style, taste and budget. We understand that giving your kitchen or bathroom a makeover can be a stressful experience with so many decisions to make, that’s why we personally provide every customer with the time and assistance they need to make their choices. Whether you’re designing a striking kitchen or a timeless bathroom we can help, and with a huge collection of tiles to compliment your new design you won’t need to go anywhere else. Once you’ve made your choices you can sit back and relax because the rest is up to us. Our expert designers will arrange an appointment for a free home measure before plans are drawn up by our professional design team. A fully detailed, no obligation quotation will be supplied to you for consideration before you make your final choice. New Image was established in 1989 by Steve Cobb. 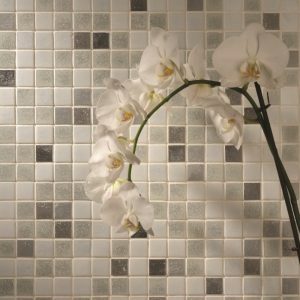 What began as a tile fixing service quickly developed into New Image Tile Studio after Steve became disillusioned with the lack of choice available in the area. Some of you may remember New Image as ‘the tile shop’ on Abbotsbury Road, well you won’t believe how much we have grown since then! In the last 5 years alone the Weymouth showroom has relocated to the Granby Industrial Estate, expanding to 12500 sq. feet of showroom and warehouse space, and offers a truly inspiring collection of tiles, displayed in beautiful bathroom and kitchen displays.